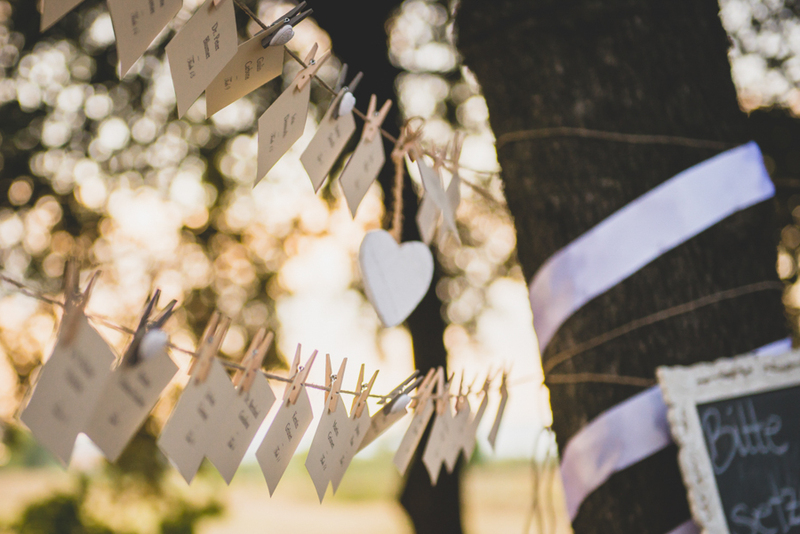 At BeA Alfresco Wedding we do our very best to create a memorable and unique wedding for all our couples – this includes offering help when you’re faced with the problem of naming or numbering your wedding tables. It isn’t easy to choose a theme – the bride may have romantic names in mind; while the groom might have a list of his favorite football or hockey players! It is our job to work with their different tastes and find a theme that is acceptable to both. The couple is sure to have a number of favorite drinks, or as they are getting married in Italy, they must have several Italian wines that they prefer – such as the famous Brunello and Chianti from Tuscany, also Lambrusco, Sangiovese and Valpolicella red wines. Italian white wines include Pinot Grigio, Moscato and Trebbiano – to name but a few. Nature lovers can use the names of birds, animals, butterflies or even favorite flowers as your table names. Your wedding theme can dictate the choice of flowers – or you could use the romantic names of roses such as: Dainty Bess (pink), Silver Jubilee (pink), Gemini (pink), or Elizabeth Taylor. Some names for red roses are: Olympiad, Mister Lincoln, Smooth Prince and Kardinal. White rose names include Pristine, Moonstone, Iceberg and Bridal White. As you can see, these are all intriguing names which will interest your guests. .
Another idea for table names would be romantic movies or musicals, such as Gone with the Wind,The King and I, South Pacific, The Phantom of the Opera, Officer and a Gentleman, Pretty Woman, etc. Your guests will enjoy discussing which of these is their favorite and which ones they have seen – and will be a great ice-breaker to get the conversation going! If you are sports fans, then the names of your favorite teams, or male and female sports icons would be a good choice for your table names. Make sure to include teams and players from years past so that your older guests won’t feel left out. The same applies to favorite music! Make sure to include some ‘oldies’ if you are going to use the names of songs for your table names. Whichever theme you choose for your wedding tables, be assured that we at BeA Alfresco will be able to offer help from our extensive background in wedding planning – and we are always ready for a challenge!